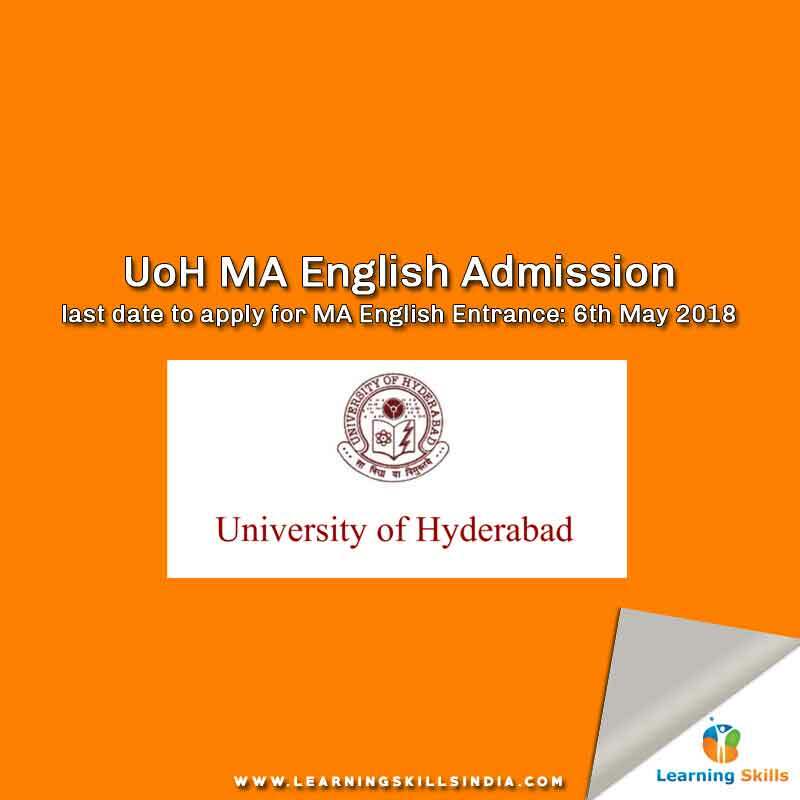 Hyderabad Central University MA English course is one of the most popular courses at the university. Moreover, UoH (University of Hyderabad) is one of the top-seeded university in India, which is also a central university. Therefore, as any central university, it also offers top quality education, great infrastructure, excellent faculty, and unmatched learning experience. If you are planning to take up MA English, then Hyderabad Central University has to be on your target list. The MA English course at UoH consists of four semesters that has 72 credit program with mandatory 56 credits, and 16 optional, and 4 from other departments. You can take up to 8 extra credits in shape of your additional courses. The MA English course at UoH is quite vast that covers 17th-18th-century literature, Romantic, Victorian, and British literature, Indian English literature, Literary Criticism and Theory, and Dalit literature and much more. The spectrum of literary studies is quite vast and covers popular world English literature. On 5th April 2018, Hyderabad Central University announced admissions in MA English programme. If you are interested in it then please read the following important details before you apply such as Syllabus, Admission, Important Dates, Application Process and Contact Information. We will upload it as soon as it is available. We will soon update the notification, generally UoHyd announces it notification around the April month. Follow this website http://acad.uohyd.ac.in/index.html to stay updated.